Timmothy&#39;s photo is shown age-progressed to 13 years. 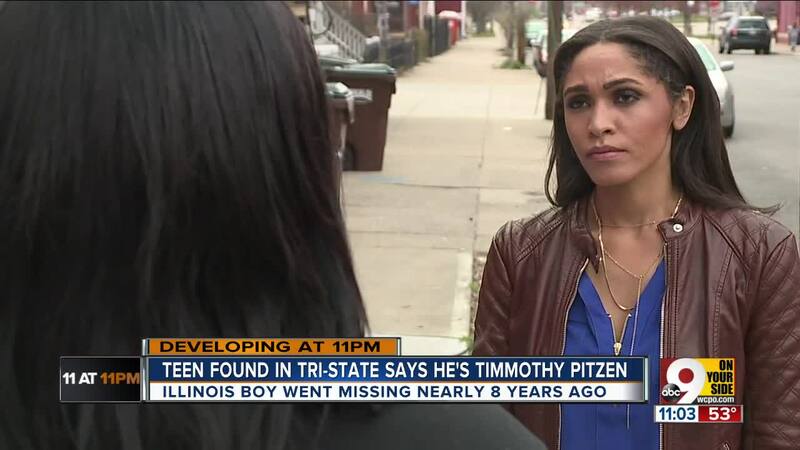 UPDATE: The FBI says the DNA test results indicate he is not Timmothy Pitzen — he's a 23-year-old Ohio man who recently left prison. NEWPORT, Ky. — Crekasafra Night was nervous when she spotted the skinny young man pacing near West Eighth and Columbia streets early Wednesday morning, she said later that day. So were her neighbors. Only the deep bruising on his face and the clear anxiety with which he addressed a passing car alerted them to the possibility that he didn't pose any danger — he was running from it. "He walked up to my car and he went, 'Can you help me?'" a 911 caller told dispatchers. "'I just want to get home. Please help me.' I asked him what's going on, and he tells me he's been kidnapped and he's been traded through all these people and he just wanted to go home." When police arrived, according to a Sharonville report, he told them a story that could end an Illinois family's yearslong quest for answers and justice. 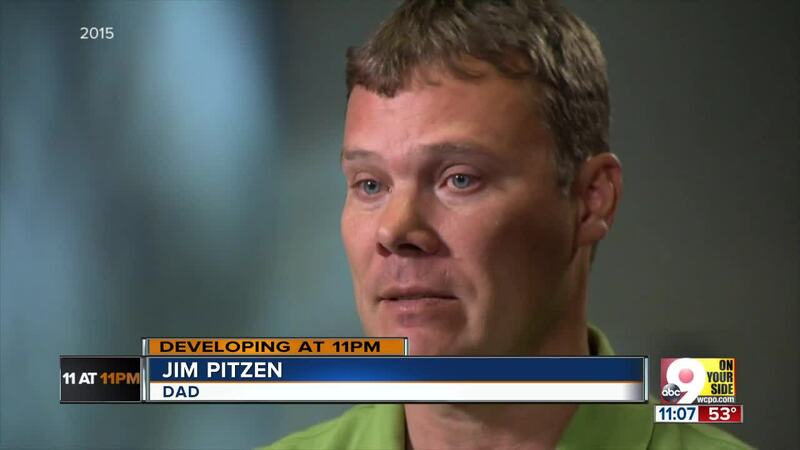 His name was Timmothy Pitzen. He was 14 years old. He'd escaped on foot from a pair of men who held him against his will for nearly eight years, most recently inside a Red Roof Inn. He didn't remember where the motel was — just that he'd gotten out and run, crossing a bridge, until he reached Newport that morning. Police will work with the FBI to determine whether he really is the Aurora, Illinois 6-year-old who vanished in 2011 following his mother's suicide. DNA tests will take about 24 hours, according to Aurora police. 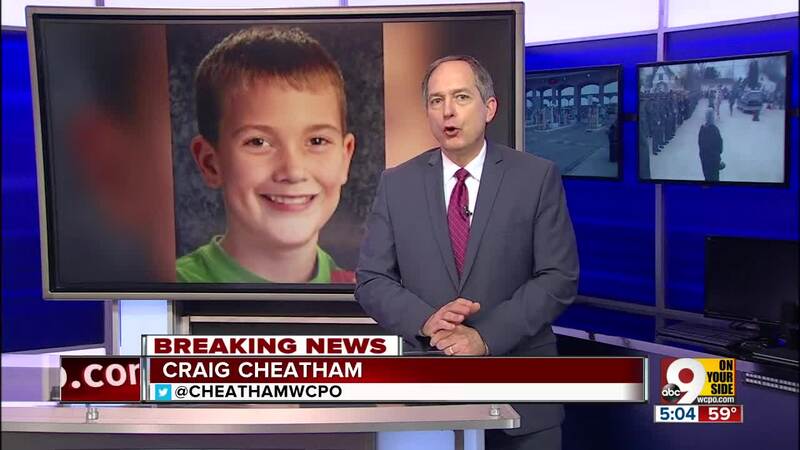 An FBI spokesperson in Louisville said the bureau was working with Newport police, Cincinnati police, the Hamilton County Sheriff's Office and Aurora, Illinois police on a missing child investigation. Newport Police Chief Tom Collins said officers responded and the boy is receiving medical care. According to a 911 caller, he described the kidnappers as two white males with "bodybuilder-type" builds. One had black curly hair and a spiderweb tattoo on his neck; he wore a Mountain Dew shirt and jeans. The other was short with a snake tattoo on his arms. They were driving a white newer model Ford SUV with yellow transfer paint, Wisconsin plates and a dent on the left back bumper. 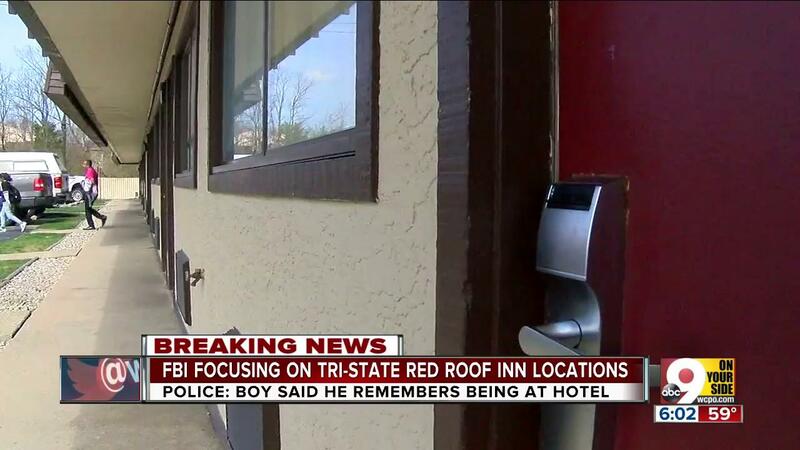 Multiple police agencies, including Sharonville, said they'd been told to check Red Roof Inns in the Cincinnati and Northern Kentucky area. Workers at several area hotels said authorities had spoken to them or requested their guest lists, but they didn't recall anyone who matched the description. "It's hard to remember people, to be honest, because of so many people coming in and out," Kennedy Slusher, a worker at the Red Roof Inn Beechmont, said. "But to hear something like that, it's kind of mind-blowing. It's scary." 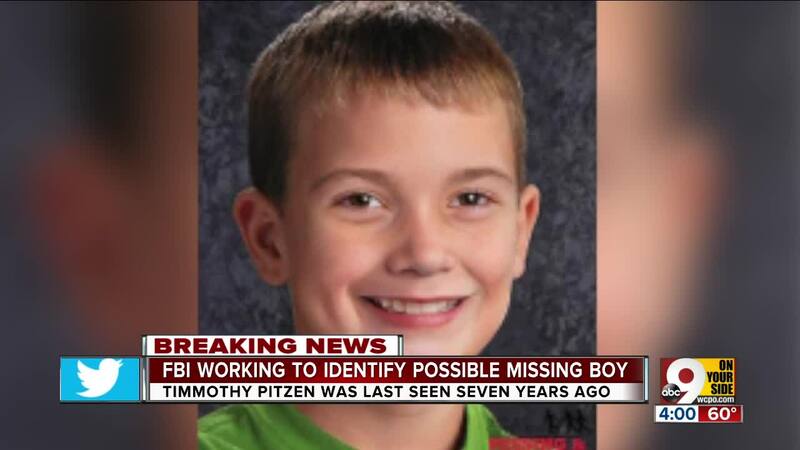 Timmothy was last seen with his mother, 43-year-old Amy Fry-Pitzen, on May 11, 2011. She'd checked him out of his kindergarten class and driven him to a zoo and water parks before the boy seemingly disappeared after they checked out of a Wisconsin Dells resort. Fry-Pitzen was then found dead by apparent suicide in a Rockford, Illinois hotel room. Police told ABC News at the time she'd left a note stating that she left Timmothy with people who "would care for him and love him" but didn't name them. The boy, his car booster seat and backpack were gone by the time her body was discovered. The note promised they would never be found. 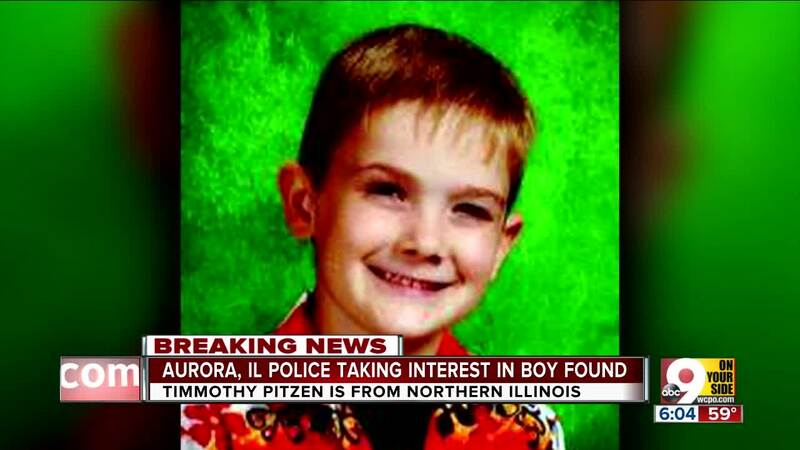 The case drew widespread attention, and searchers spread across Illinois, Wisconsin and Iowa but were unable to locate Timmothy. 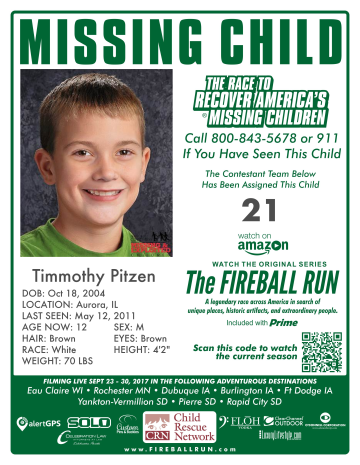 "Crime Watch Daily" covered the case in 2017, and the Amazon show "Fireball Run" also drew attention to Timmothy's disappearance. 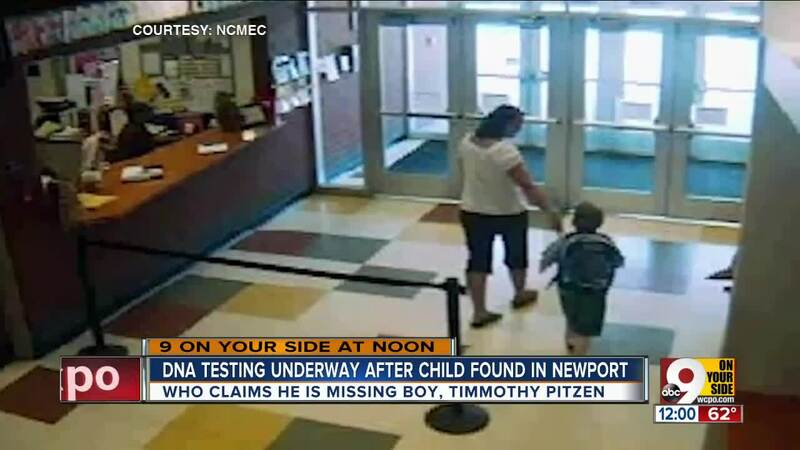 "Timmothy Pitzen remains an active NCMEC case, and his missing poster is on our website," she said. 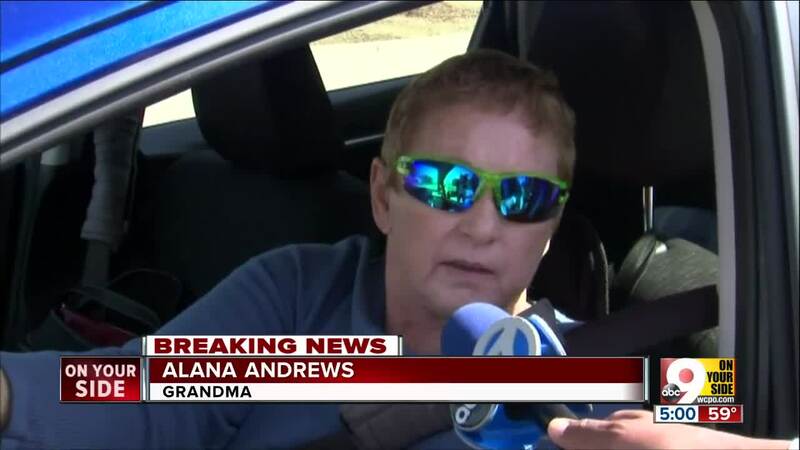 Alana Anderson, Timmothy's maternal grandmother, told ABC News that she has been in touch with Aurora police and is expecting them to call her again as soon as they have determined whether the boy is Timmothy. She said that, if the boy really is her grandson, the family still loves him and they've never stopped looking for him. They want to let him know that everything will be OK.
"(I'm) cautiously hopeful, very cautiously hopeful," Anderson said. "And if it turns out to be him, we'll be thrilled." 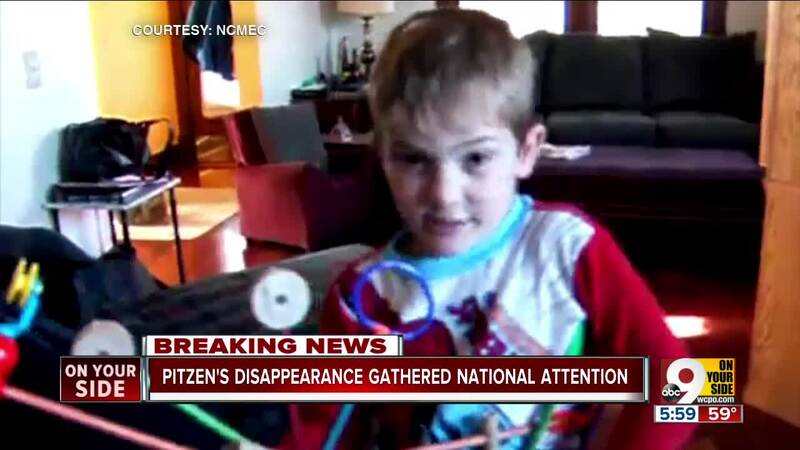 Pitzen’s aunt, Kara Jacobs, said the family was overjoyed and scared at the same time when they got word that the boy could have been found. “What I’ve prayed about since he’s been gone is that God will keep him close and take care of him, and that, maybe by some stroke of luck, he was with people who would love him,” Jacobs said.